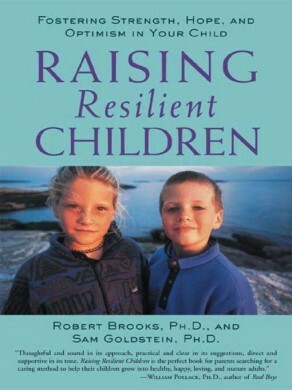 Sam Goldstein and Robert Brooks have written many books on resilience. This article gives an introduction to their work. You can discover more at their web sites. How to cope with adversity and solve problems. How to connect with other people. You can read more on his web site and also in the book he has produced with Robert Brooks. 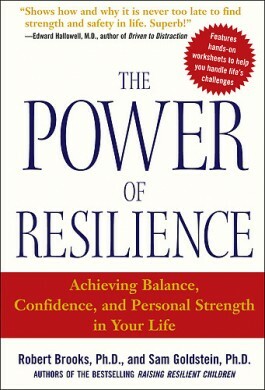 Robert and Sam also wrote The Power of Resilience: Achieving Balance, Confidence, and Personal Strength in Your Life. 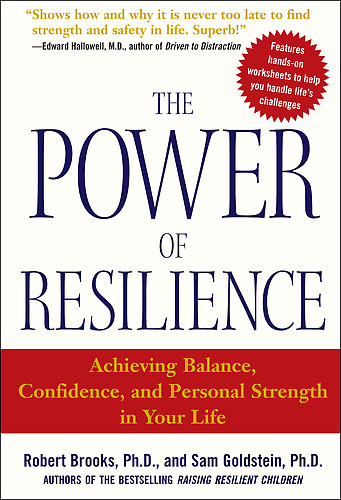 Resilient individuals possess a particular mindset and accompanying skills that help them respond to life’s challenges with confidence and grace. What are the features of this mindset? What assumptions do resilient people have about themselves that reduce their vulnerability to stress and help them to cope more productively? Certainly, one’s lifestyle, including exercise, diet, and sleep all influence the effectiveness with which stress is managed. But how do you nurture such a healthy existence? In this article, we will describe ten keys for developing stress hardiness and a resilient mindset and lifestyle. Also, remember that changing one’s mindset and behavior takes time. Be realistic in what you can accomplish within a certain timeframe. Each small step leads to reaching a larger goal. Do you find yourself saying or doing the same ineffective things over and over again? Yet, we are the authors of our lives. We can move from less satisfying, less productive scripts, to ways of thinking, feeling, and behaving that foster a resilient mindset. Identify the negative scripts in your life or things you would like to change. Define short and long-term goals related to these issues. Consider new scripts, select one that you believe has the greatest chance for success, plan for obstacles, and follow through. Change cannot take place unless we become active participants in our lives. Research indicates that stress hardy people engage in activities that bring purpose or meaning to their lives whether in their role as parent, spouse, co-worker, or friend or in the volunteer work they do. What would you list as the priorities in your life and do you spend time engaged in these activities? In addition, stress hardy individuals view difficult situations as an expected part of life. When such situations arise, they interpret them as challenges to confront and learn from rather than as stress to avoid. Stress hardy people can define the factors over which they have control and those that they don’t, focusing their time and energy on situations within their sphere of influence. You might wish to do the following. Make a list of five things you want to see different in your life and then next to each item write down whether someone else has to change first for you to achieve your goal. If you discover that your happiness is based on another person changing first, whomever it may be, you might be waiting a long time to become happy. You are likely to become increasingly stressed during the wait. You will feel empowered if you focus your time and energy on what you can do differently to improve particular situations. Resilient individuals develop satisfying relationships in their lives. A cornerstone of such relationships is the capacity to be empathic and to place oneself inside the shoes of others and see the world through their eyes. “In anything I say or do, what do I hope to accomplish? “Do I say or do things in ways that will motivate others to be willing to listen and respond to me? Make a list of the words you hope people would use to describe you and then the words you think they would actually use. Reflect upon what actions you might take to change your behavior so that the two lists of words are more in accord with each other. 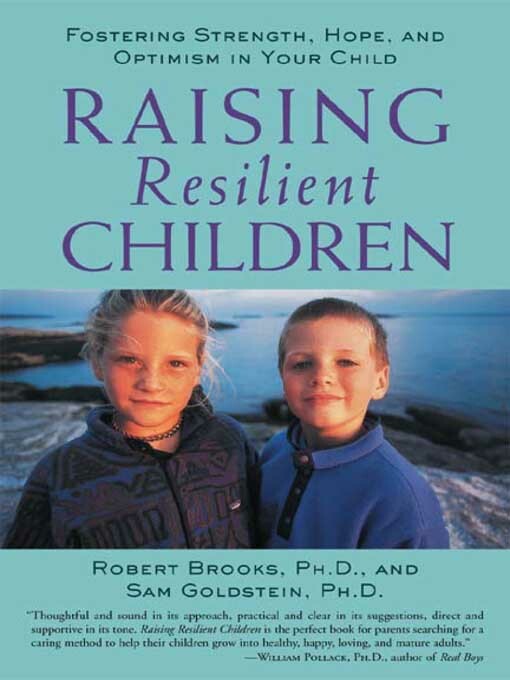 The ability to communicate effectively is an integral component of resilience and is closely linked to empathy. Effective communication includes an appreciation of how our verbal and nonverbal messages are perceived by others and our capacity to be an active listener. Active listeners attempt to understand what the other person is expressing and even if they disagree they are respectful and validate that they “hear” the other person’s viewpoint. The more effectively we learn to convey our feelings, thoughts, and beliefs verbally and nonverbally, the more successful and resilient we will be. If you are to nurture a resilient mindset, you must learn to accept yourself. Acceptance implies possessing realistic expectations and goals, recognizing your strengths as well as vulnerabilities, and leading an authentic, balanced life in which your behaviors are in accord with your values and goals. Make a list of five things that are important to you and consider why these are important. View each item on your list and reflect upon how much of your time and energy is expended to achieve what you have listed. As you learn to accept yourself, as you gain a clear picture of your strengths and vulnerabilities, as you articulate your values, you will be in a position to remove those factors that serve as obstacles to realizing a more honest, enriched life. It is difficult to be resilient if we do not nurture connections in our lives – connections to other people, to ideals, to our faith, to causes. Even as adults we need people in our lives from whom we gather strength. In addition, our resilience will be enhanced if we serve as a source of strength and support for others. “Who are the two or three people who serve as charismatic adults in my life? “What have they done that has prompted me to list them in this way? “What people would say that I am the charismatic adult in their lives, and why? Being connected to and helping others provide meaning to our lives and serve as nutriments for resilience. The ways in which we understand and respond to mistakes and failure are an integral part of a resilient mindset. When you make a mistake, what do you tell yourself? How do you react? Observe what you say to yourself when you make a mistake. It will give you a clue to how resilient you are and what you might have to change. Just as the manner in which we understand and respond to setbacks is an integral part of a resilient mindset so too, is the way we react to successes in our lives. Think about how you understand your achievements. Those who are resilient view their accomplishments as based upon their own resources and strengths. This doesn’t mean they fail to acknowledge the support of others. Rather, they don’t dismiss or minimize what they have achieved. There is another feature of resilient people we wish to highlight. What would you list as your islands of competence? Do you regularly engage in these strengths to bolster your resilience? Self-discipline and self-control play a significant role in our daily activities. 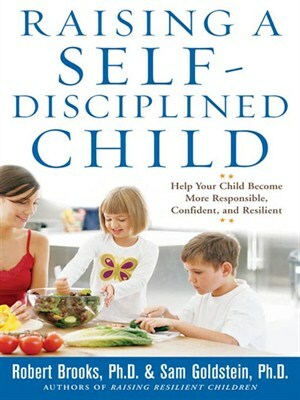 When we think before we act, when we consider the feelings of others, when we reflect upon possible solutions to problems, when we behave in a rational and thoughtful way, when we engage in developing a business plan, when we keep from screaming at someone who has done something to make us angry, we are displaying self-discipline and self-control. Accept ownership for your behavior. Become a proactive problem solver, thinking of different solutions before you act. Believe that every problem has a possible solution. Remember that with effort and patience, possible solutions become probable solutions. If we abandon well-established diets and exercise, our health will suffer. The same principle is true when we consider the maintenance of a resilient lifestyle. Once you have developed the features associated with a resilient mindset and lifestyle, you cannot settle back and assume these qualities will be maintained on automatic pilot. Expected and unexpected challenges will emerge that will test your ability to be resilient. The more you understand the characteristics of resilient individuals, the more you can engage in daily and long-term exercises to maintain, and even strengthen, a resilient mindset. 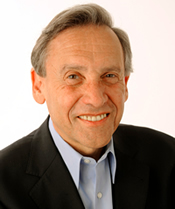 “Have I listened and communicated effectively with others? “Have I responded to stress, mistakes, and setbacks in thoughtful ways? Leading a resilient lifestyle should be in constant focus. 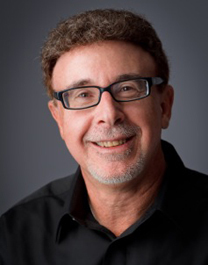 You can learn more at the regular column that Robert and Sam write for Psychology Today. This is called Raising Resilient Children. Finally, here is a link to an interview with Sam who responds to questions about raising children who are diagnosed as autistic.